While the sustainable purchasing policies may contain some specific guidance on the sustainability standards employees should follow when making purchasing decisions, they are rarely comprehensive. By adopting complementary administrative guidance documents detailing approved sustainable procurement standards and procedures, purchasers can establish a systematic process for providing sustainable purchasing recommendations to their employees and contractors. Such guidance documents should be periodically reviewed and updated as needed in order to ensure that they reflect current standards. Biodegradable Products Institute certiﬁes that products with “biodegradable” claims—ranging from compostable bags to food serviceware to packaging—will safely break down in a typical commercial or municipal composting facility. Cradle to Cradle guides designers and manufacturers through a continual improvement process that looks at a product through five quality categories: material health, material reutilization, renewable energy and carbon management, water stewardship, and social fairness. A product receives an achievement level in each category—Basic, Bronze, Silver, Gold, or Platinum—with the lowest achievement level representing the product’s overall mark. ECOLOGO, administered by UL Environment, certifies products, services, and packaging that meet a wide variety of criteria in some or all of the following categories: materials, energy, manufacturing and operations, health and environment, product performance and use, and product stewardship and innovation. It has issued standards for over 300 product categories including flooring, paint, electricity, cleaners, office equipment, and paper products. 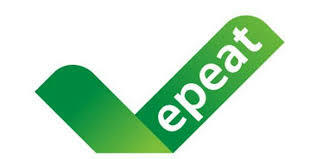 Electronic Products Environmental Assessment Tool (EPEAT) is an independent program that certiﬁes green electronic equipment such as servers, computers, monitors, laptops, tablets, imaging equipment, TVs, and cell phones. EPEAT-registered products meet certain required and optional criteria that addresses the full product lifecycle, from design and production to energy use and recycling. There are three levels of registered products: Bronze, Silver, and Gold. 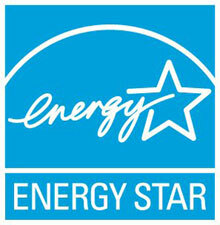 ENERGY STAR is a program of the U.S. Environmental Protection Agency that certifies energy-efficient products such as light ﬁxtures, CFLs, LEDs, appliances, and office equipment. Forest Stewardship Council certiﬁes wood and paper products derived from sustainably managed forests and/or or that reduces wood consumption. Green-e certifies renewable energy and carbon offset products. GREENGUARD, administered by UL Environment, certifies low-emitting products for the following product categories: Building Materials, Furniture, and Furnishings; Electronic Equipment; Cleaning and Maintenance Products; and Medical Devices for Breathing Gas Pathways. Two tiers of certification are available: GREENGUARD certification and GREENGUARD Gold certification. Green Seal develops standards for and certifies green cleaning and floor maintenance products; low-toxicity hand soap and paint; and environmentally preferable janitorial paper products. It also certifies janitorial service providers and hotels that meet its standards. Safer Choice is a program run by US EPA that certifies low-toxicity products such as hand soaps, furniture and metal polish, laundry and dish detergents, specialty cleaning products, and more. USDA Biobased is a single-attribute certification program that covers products such as printing inks, lubricants, food service ware, and other products made with a minimum percentage of plant-based material (that typically replaces petroleum). 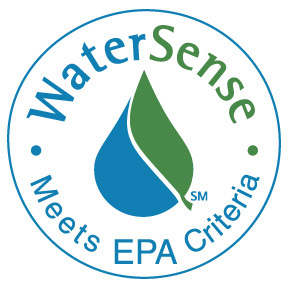 WaterSense, a program run by the U.S. Environmental Protection Agency, certifies water-efficient plumbing fixtures.